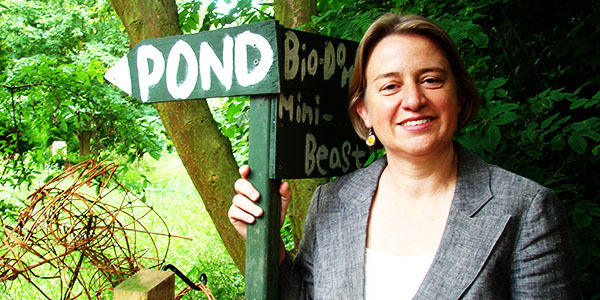 TheBlueGuerilla: Green Party Leader Blames Terror Attack on UK 'Acting Like World's Policeman'. Green Party Leader Blames Terror Attack on UK 'Acting Like World's Policeman'. NATALIE BENNETT has told reporters today that she believes the brutal murder of a serving British soldier on the streets of Woolwich, London is due to UK foreign policy. The Leader of the Green Party sensationally told London Loves Business that attacks may continue so long as the UK keeps acting like "the world’s policeman". Bennett said - "It’s absolutely tragic what happened in Woolwich and you’ve got to feel not just for the family of the serviceman but also for the people and bystanders that saw it happen and the emergency services that had to deal with it afterwards. But if we’re going to stop that happening again in the future, one of the biggest things we have to do is stop regarding ourselves as the world’s policeman."